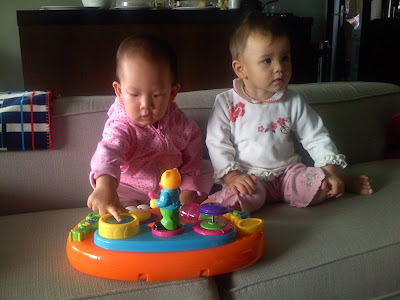 Natalie sitting with her friend Serafina and sharing the little music toy. 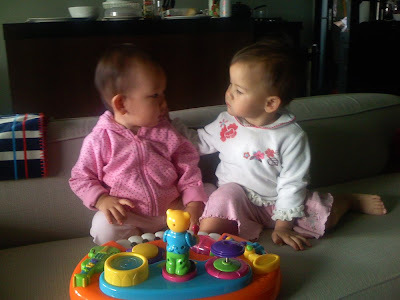 Serafina and Natalie look at each other. So cute! Serafina goes in for a kiss. 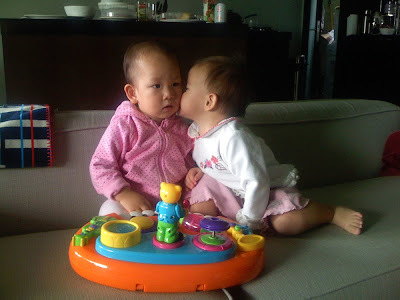 Awww... all kids at this age are so affectionate. Serafina can clearly say the word "shoe". 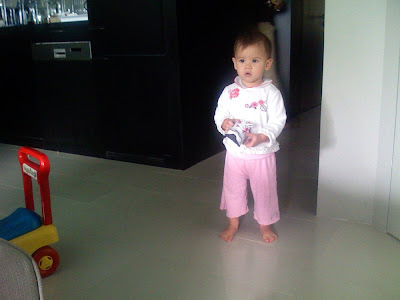 She loved Natalie's shoes and carried them around for a while. 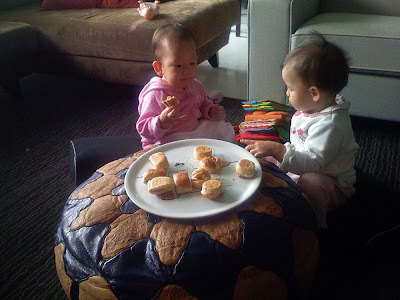 A little later, the kids sit down for a snack of cheese and beef pastries, yum! 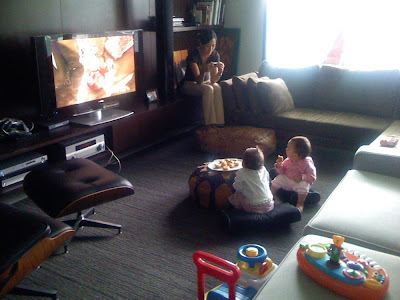 The TV helps to keep them quiet and chill (for about 5 minutes). Don't they look like two "big people" having tea together? 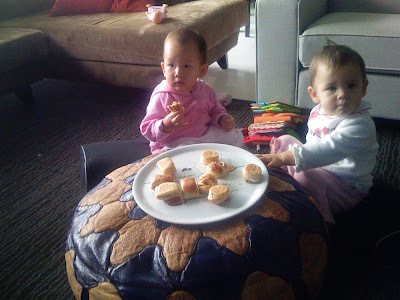 Natalie and Serafina were very good at sharing. 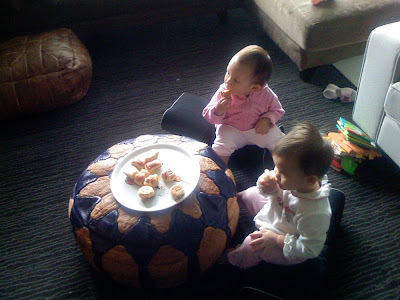 If I asked for a bite, they both gave me what was in their hands (even if half-eaten). Clark with Serafina and Natalie. We had a great time!